Most recent blog posts from Charity Cab, the leading taxi company in Pleasanton, CA. Does travel during the holidays stress you out like no other? The holidays can definitely either be a time of happiness, warmth, and good memories – or they can be a time of stress, anger, and pulling your hair out at the roots. One of the major stressors during the holidays is travel. Will I make it on time for my flight? Will I get snowed in? What if I am stuck at the airport for days due to a delayed flight? How much did those airline tickets cost again? If you want to see your family for the winter holidays, then traveling is a necessity. Luckily, we have seven stress-relieving holiday travel tips for 2016 to share with you. We hope they do you some good this season. We live in a world of tablets, smartphones, and yes, apps. There’s an app for nearly everything (even this app for finding someone nearby to cuddle with). Every major airline has a smartphone app that you can download and use to check the status of your flight, show your boarding pass, check your miles, and more. You can also use apps like Skyscanner or FlightStats to look for cheaper tickets and to check the status of your (or a family member’s) flight regardless of what airline they chose. It’s important that you think ahead when it comes to holiday travel. You might have bought the tickets and arranged for transportation to the airport, but you also need to consider increased holiday traffic, what hour you’ll be arriving at your destination, what public transportation options are available, the check in time of your destination hotel, whether or not your phone is charged enough to make an emergency call, and so much more. Think smart – plan ahead, and make sure you’re prepared for any of the stresses that holiday travel throws at you. Make sure to pack only what you definitely need. Traveling during the holidays means lots of presents – and lots of money-spending. 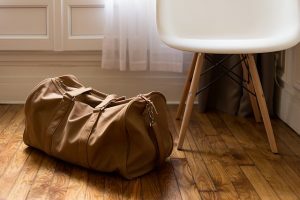 You can save money by forgoing checking bags, and instead opting for a small backpack as your personal item, and a duffel bag as your carry-on. You can even fit two weeks’ worth of clothes in a single small duffel. Just roll your clothes to save space and prevent wrinkles, and make a few other space-saving adjustments to your usual packing routine. Regarding those big bags of bulky presents, try mailing as many of them as possible to your destination address. We don’t know about you, but we’re very aware of this thing called being “hangry” (hungry + angry = hangry). Avoid the holiday rage by packing yourself some delicious snacks for the flight. This will save you money at the airport, too! It’s well-known among frequent travelers that Thanksgiving is one of the biggest travel days of the year – you’d be wisest to avoid flying that day. However, that doesn’t mean it’s the only busy travel day. Many people are traveling to and from home during Christmas, and the airport can get quite congested during this time of year. This is especially true if you live in a college town where students often travel home for winter break. We also recommend trying to catch either an early morning or late evening flight if you’re worried about airport traffic and your flight being on-time. Driving your own car to the airport means just one more thing to worry about. First, you have to find the parking lot. Then you have to find a place to park. Then you need to pay for parking up front or grab a parking pass. Then either take a shuttle or walk by foot to the airport. This can easily add an additional 45 minutes to your trip, which can be the difference between being on-time and missing your flight entirely. Instead, opt to take a cab to the airport, or have a friend/family member drop you off. This way you can also skip the parking fees and won’t have to stress about your car getting damaged or broken into. We posted a blog not too long ago about how yoga can be a remedy for jet lag, but it’s also a great way to alleviate stress during holiday travel. If you’re freaking out at the airport, try finding a spot to sit on the ground and focusing on taking deep breaths in and out. If you’re prone to travel anxiety, you should also meditate or perform a few yoga stretches and breathing exercises the night and morning before your trip. We love yoga because it doesn’t require any additional tools or accessories – just a quiet space, your mind, and your body. What Are Your Favorite Stress-Relieving Holiday Travel Tips? Do you have a favorite pre-holiday travel ritual that helps you to eliminate stress? God knows we’d like to hear it, and so would our readers. Do everyone a favor and leave a comment below sharing your favorite way to beat the stress this winter. This entry was posted in Airport Transportation, Blog on December 14, 2016 by rhtthvnr. Are you amping up for a trip this holiday season? Whether you’re traveling just a few hours away to visit family on Thanksgiving, or flying to another country for a holiday getaway, it’s important to keep yourself organized and fully prepped for anything that might come your way. We get people from all walks of life going to all different destinations riding in our cabs, and often times they share their traveling tips and tricks with our drivers (I guess we’re just that easy to talk to). So what did we do? We made a list of seven things to do the night before you travel – brought to you by our expert customers. What? You might be wondering why we suggest you change your sheets the night before you’re leaving home. But this is actually one of the more common tips we hear – it just requires a little bit of extra foresight. Not only should you be prepping for your trip away from home, but also for your return. There’s nothing quite as awesome as coming home to a bed with clean, crisp, comfortable sheets. 2. Change your cat litter. This is another odd one – or, well, it might seem odd if you don’t have a cat. 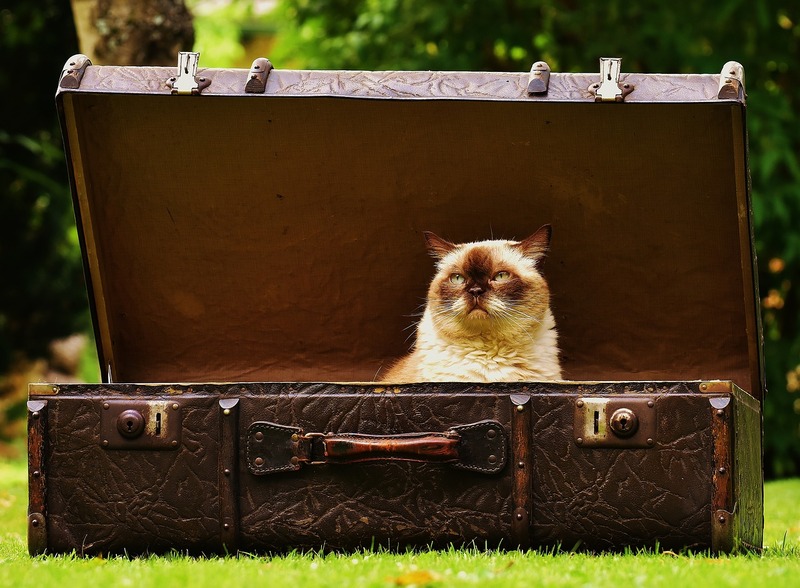 What we really mean to say is that you need to make sure your pets are getting taken care of while you’re away. It’s a great idea to change your cat’s litter, set out fresh water, and given them fresh food for at least a day or two just in case your pet sitters aren’t able to come over right away. One sure way to spoil your return home is to leave your leftovers out in your fridge to rot and stink up the whole house. Instead, freeze your leftovers so that you aren’t wasting any food. What if you have random scraps that you don’t have time to cook with before departure? The Everywhereist recommends creating a “freezer stock bag” for your leftover onions, carrots, and other veggies that are about to spoil. When you get home, use these leftovers to create a vegetable stock for cooking. She also recommends freezing a full meal for when you get home – because you know you’ll be exhausted. When you get back from traveling, you’re going to have heaps of laundry to do. Cut down on the loads by doing all of your current laundry before you depart on your adventure. It will also make your room smell fresh and eliminate any musty odors when you get back. 5. Take out the garbage. Speaking of smells, you HAVE to take out the garbage before you leave the house. This is a must, not only for smells, but to keep away pests like mice, ants, flies, and other insects and rodents. You do not want to come home to an infestation, and this will happen if you leave your garbage cans full in your home. With our lives surrounded by gadgets, it’s essential to bring them on the road. 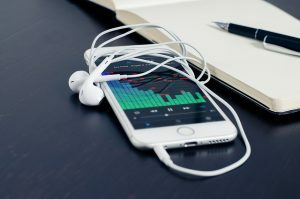 You might have big plans for your smartphone or portable DVD player, but they won’t do any good if they aren’t charged for the flight or drive. Charge up all your electronics the day before, and make sure to bring all the chargers with you. 7. Make a list, check it twice. There’s one thing that helps ensure you get everything done before heading out on a holiday vacation – and that’s make a list. If you’re like most people, you might start making a mental checklist, thinking that you’ll definitely remember it all. But as the list gets longer and longer, we’re here to tell you that you’ll definitely forget something. Don’t risk it – just write it all down, tape it to your front door, and check it at least twice before heading out. Oh, and give yourself enough time to go through it in the morning, too. Traveling can be stressful, but only if you let it. If you follow our 7 things to do the night before you travel, you’ll be on your way to a stress-free takeoff, and a warm return. And if you are in need of airport transportation to SFO or a taxi in Pleasanton give a call! What do you do the night before you travel? Share your comments below! This entry was posted in Airport Transportation, Blog on November 14, 2016 by rhtthvnr. Do Dogs Get Homesick During Travel? As a Tri-Valley taxi company, it’s not just humans that we help transport these days, but their little dogs, too! More and more people are bringing their pets along for the ride, whether it’s by plane, train, or automobile. If you’re setting out on an epic adventure this summer with your dog as your travel companion, you might wonder – if humans can get homesick can dogs get homesick during travel, too? The answer is yes, they definitely can. Just like humans, dogs get used to their surroundings. They notice different smells, sounds, visuals, and will definitely notice if their favorite chew toys or humans aren’t within range. If you’re traveling with your dog, but one or more members of your household is staying behind, your dog will notice. And, depending on how bonded your dog is with those people, he or she may or may not show signs of depression, anxiety, and general homesickness. Does that mean that you shouldn’t travel with your dog? Not necessarily. You just need to know how to properly manage your dog’s homesickness during travel. Some owners are reluctant to crate train their dogs because they think it’s mean or that the dog would rather sleep on the bed with the owner. In reality, your dog will sleep anywhere as long as he or she feels safe (really, it’s just the owner that wants the dog to sleep on the bed, not the other way around). If you establish early on that their crate is a safe place to sleep or eat, then your dog will not have any anxiety about being in it. And you know what else is cool? This means that a crate trained dog can feel at home anywhere – as long as the crate comes, too. If you bring your crate with you on your vacation, it is less likely that your dog will get homesick during travel. Give him something that smells like you. If you are worried that your dog will cry, bark, or whine if you have to leave the room for the day, then you can give him something that smells like you. This helps reassure your dog that you will come back, and also provides him with something familiar for comfort. This is especially important if you’re staying in a totally foreign place, like a hotel room with lots of other smells. Have plenty of chew toys. If your dog gets anxious or homesick during travel, it’s important that she has somewhere to place that anxiety. Give her lots of her familiar chew toys to occupy her time with, especially if she’ll be alone for periods throughout the day. This also helps to create familiar surroundings, since she’s used to having toys around her when at home. Don’t just leave on vacation and expect your dog to think it’s totally normal to be away from one or more of his human companions. It’s important to practice being apart from your dog for small periods of time before officially traveling. When your dog sees that you can leave for a few hours and still come back, he’ll have less anxiety and homesickness on the road. This is a good time to practice crate training, too. 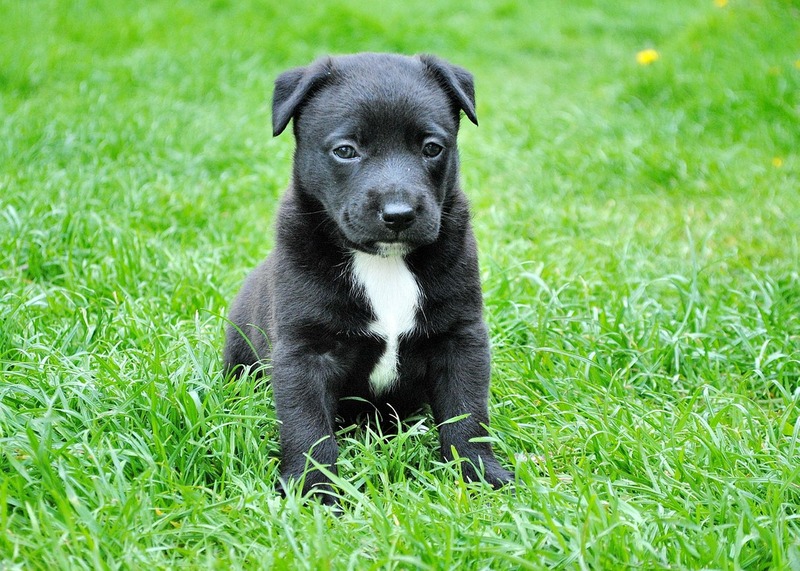 A surefire way to combat homesickness in your dog is to make sure that she stays active. Don’t just keep her holed up in a hotel room all day – take her out for walks and adventures every day so she sees traveling as something fun. And make sure to keep up with regular routines, such as feeding schedules, so that your dog doesn’t have too much pent up energy. If your dog is suffering from extreme homesickness, depression, or anxiety when you travel, it doesn’t hurt to consult your veterinarian. They’ll likely have some handy tips for traveling with your dog, and can also prescribe you with medications to combat motion sickness and travel anxiety if your dog gets homesick. Do you have a dog that gets homesick during travel? Share your tips for handling your sad pup below. And if you are ever in need of airport transportation with or without your dog we offer Pleasanton to SFO, Pleasanton to OAK, Pleasanton to SJC and cover the entire tri-valley area. This entry was posted in Blog on July 14, 2016 by rhtthvnr. 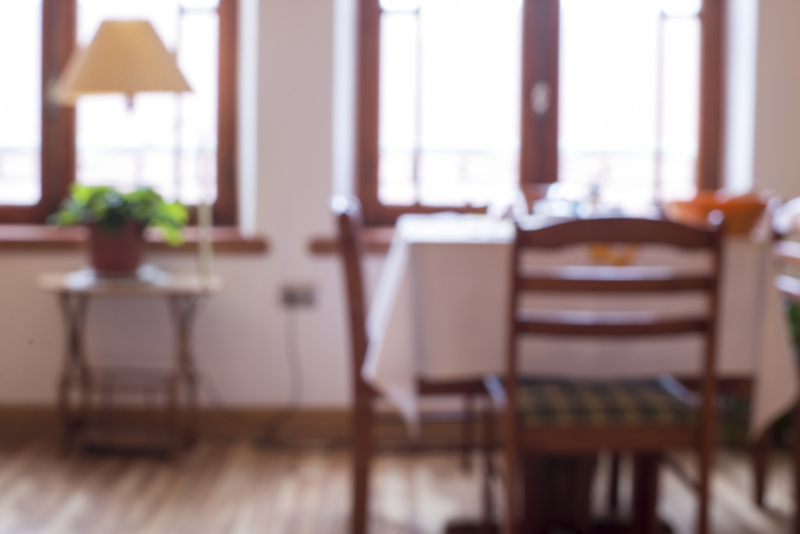 “What’s a good place to eat around here?” These are the best airports restaurants by Charity Cab’s airport transportation in Pleasanton. As a Bay Area cab company offering Pleasanton to SFO trips, we hear this question a lot from our customers, especially when providing airport transportation. We’ve been asked so many times that we decided to put together a list of a few of our favorite airport restaurants in the East Bay. These eateries are located either within or just a short cab ride from the East Bay’s major airports. Why we like it: If you’re looking for a rich, wholesome American meal before (or after) a long international flight, then Cat Cora is the way to go. Meals are reasonably priced, yet playful and unique. This airport restaurant offers tapas, fresh seafood and other local ingredients, and is even open for breakfast starting at 5am sharp. Want to feel good about your meal? All of Cat Cora’s utensils are biodegradable, so you can help the planet while you eat. Why we like it: Fresh oysters, local seafood delivered daily, awesome clam chowder, and speedy service. What more could we ask for? Yankee Pier in SFO has been voted one of the top airport restaurants in the past, and there’s good reason for it. Yankee Pier offers breakfast, lunch and dinner, so you’ll never miss a chance to eat here during your next airport visit. What’s even better? They also offer vegetarian options for the non-meat eaters. Why we like it: This airport restaurant is actually just outside of SFO, but can easily be accessed with a 10 minute cab drive. They have soup, pasta, seafood, and other Italian favorites including coffee and tea. If you’re looking for a quint airport cafe just on your way to your hotel or SFO, then West Coast Cafe is a great place to stop. Why we like it: Bashamichi offers great, high quality Japanese food at an affordable price. Awesome Japanese food can be difficult to find, especially near an airport. 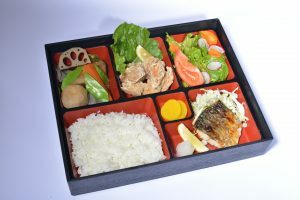 Their signature dish is wagyu tataki, and the $10 lunch box is a great value. 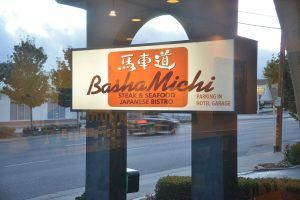 While Bashamichi isn’t quite an airport restaurant, it’s only 10 minutes away from SFO, and is definitely worthy of making our list of the best airport restaurants in the East Bay. Stop in and try the Wagyu steak if you can. Why we like it: Beers and brats are never a bad idea, especially at Gordon Biersch inside the Oakland airport. We just had to include this on our list of best airport restaurants in the East Bay because the food consistently hits the spot, especially for those long layovers. Draft beers, burgers, outlets for your laptop, and sports on TV. Gordon Biersch has it all for travelers who have some time to kill and want a delicious pick me up. Why we like it: Pyramid Ale House is another airport restaurant that won’t disappoint. If you’re looking for a different selection of beers on tap, or if Gordon Biersch is too far to walk, step on up to Pyramid for a cold one and some pub food. This is a great airport restaurant for lunch or dinner, and like Gordon, there are plenty of outlets for your computer or cell phone. Why we like it: Hegenburger’s is just 6 minutes away from the Oakland airport, and it’s worth the visit. The food is reasonably priced and casual, and you’ll surely find something to eat here. Chicken burgers, hamburgers, onion rings, fries, soda, and more are all at your fingertips. Our riders who have eaten here are often pleased at the amount of food they get for such a low price. If you’re on a budget, this airport restaurant is a good place to check out. Why we like it: Banh Mi Ba Le is a great choice for travelers who are looking for something a bit more interesting. Their vietnamese sandwiches are cheap but the quality certainly is not. If you have a few minutes to spare on the way to your hotel in downtown Oakland, stop at this restaurant. We recommend you try the meatball and egg sandwich with one of their soups. Did We Miss Your Favorite Airport Restaurant in the East Bay? If you have a favorite airport restaurant, leave a comment below and tell us! And as always make Charity Cab you choice for taxi in Pleasanton and airport transportation with Pleasanton to OAK and Pleasanton to SJC as well. This entry was posted in Blog on June 14, 2016 by rhtthvnr. Charity Cab in Dublin is honored to be a part of the charity community. While we do our part to assist organizations such as the Taylor Foundation, Feeding America, and Habitat for Humanity, we also want to recognize some innovative charities in the US that are taking unique steps to help people (and pets) of all backgrounds. Based out of Larkspur, CA, Canine Wounded Heroes helps to keep K-9 police dogs safe by outfitting them with bullet-proof protective vests for while they’re on the job. Just like the police men and women who enter dangerous situations every day, their K-9 companions are always facing great risks. Whether they’re sniffing for explosives, drugs, entering a dangerous area, these dogs need to have protection. K-9 units dedicate their lives to protecting humans, and charity founder Jodie Richers has dedicated her life to protecting dogs and animals of all sizes. Her other organizations include Dogs on Death Row, Cats on Death Row, and One Child At A Time. This super cute non-profit organization is also super amazing. Helping Hands does exactly what their name implies – train monkey helpers for disabled individuals. Specifically, they provide free capuchin monkeys to help people with spinal cord injuries in order to live more fulfilling lives. Helping hands is truly unique, as it is the only organization in the world that does what they do. The little monkeys come with a unique personality all their own, and they are trained to turn pages, grab items, press buttons, scratch itches, and offer companionship that is truly one of a kind. Helping hands is definitely an unusual charity – and one that we hope to see thriving for many more years. While we are in the business of providing transportation, we’ve got nothing on the efforts of Angel Fuel for Life. This unique charity offers transportation solutions for individuals who need medical care but don’t have the funds or ability to get transportation. Assistance can come in a variety of ways, including an individual gas card, fuel donations to mobile clinics, or even driving patients to and from their destination. This innovative charity ensures that all individuals have access to health care, and that a lack of transportation doesn’t stop them from getting the help they deserve. The Trevor Project offers a source for suicide prevention and life-saving advice for LGBTQ youth all across the country. Founded in 1998, the Trevor Project has been helping lesbian, gay, bisexual, transgender, and queer youth for over 15 years. The goal is to provide a safe place for youth to discuss their ups and downs with a friendly, unjudging ear as they discover who they are inside and out. The Trevor Lifeline, which operates 24/7, is the only crisis and suicide intervention line for LGBTQ individuals in the United States. Other services include TrevorChat, TrevorText, and various workshops and training courses to help raise awareness of the struggles of LGBTQ youth in America. This unique charity is not only amazing, but it’s also life-saving. Based out of Sacramento, CA, Consumers for Auto Reliability and Safety (CARS) is an innovative non-profit organization that seeks to advocate for safer vehicles in the United States. CARS is most famous for starting the California auto lemon law, which helped to spur similar lemon laws in the rest of the US. CARS has helped enforce air bags, overall safer cars, and to protect individuals from automotive injuries and fraud. As a company that provides transportation service to dozens of passengers each day, Charity Cab is definitely grateful that an organization such as this one exists today. Did We Miss Your Favorite Unique Charity in the US? Comment below to tell us your favorite unique, unusual, and innovative charity in the United States. We’d love to hear from you! Charity Cab is the only taxi that gives back. One dollar of every ride goes to charity. This entry was posted in Blog on June 7, 2016 by rhtthvnr. Many of our customers like to enjoy a night on the town every now and then. 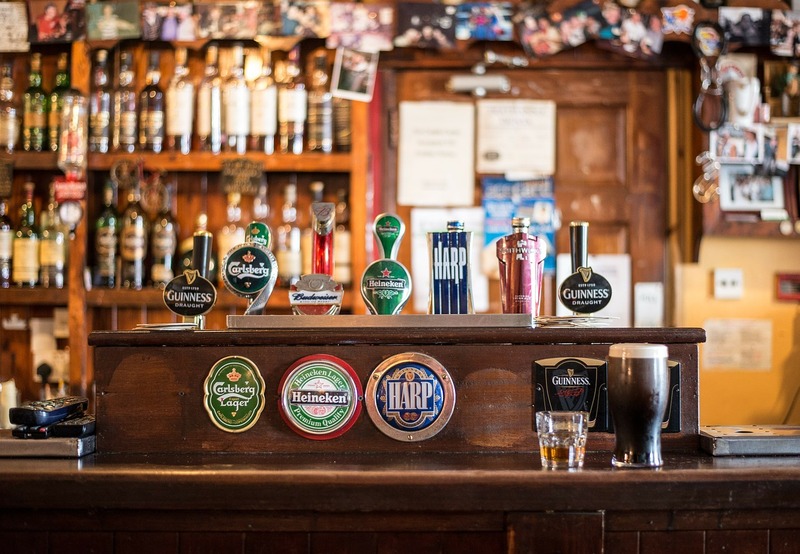 For those who live in Livermore, there are a variety of awesome drinking options available. We’ve put together a list of our favorite bars in Livermore – some that are more relaxed, and others that are more lively. Make sure to check a few out the next time you go out for a night of drinking in downtown Livermore. Atmosphere: This is a bustling establishment located in the award-winning downtown Livermore. They have burgers, beer-battered fries, beers on tap, nachos, and salads for the more health conscious. There’s plenty of parking and seating, although it fills up fast during peak hours (typically during dinner and Sunday brunch). This is also a dog-friendly establishment, so if you want to kick back and keep your pet companion near to you, go for it. Atmosphere: This is a dive bar, through and through. It’s usually populated by bar-goers in their 20s and 30s, so go here if you’re looking for a good time and some stories to tell. Drinks are on the cheaper side, so you can get more for your money’s worth. The indoor area is pretty small, so it can get claustrophobic – but there’s also a nice outside area for those who need some fresh air or a smoke break. Atmosphere: One of the newer additions to Livermore’s downtown, you can find specialty cocktails and local craft beers at a decent price. There’s plenty of indoor seating, with a few wide screen TVs for watching sports games. They offer table service, so you don’t have to worry about fighting your way up to the bar to order a drink (unless, of course, you want to). Atmosphere: There’s plenty of indoor and outdoor seating, as well as other adjacent non-alcoholic beverage options in Blacksmith Square. This is a great place to day drink, since you can sit outside and enjoy the sun while knocking back a few drinks. They have plenty of local beers on tap, as well as live music throughout the week. They have limited hours, closing at 10pm Mon-Sat and 8pm on Sun – so make sure that this is your first stop on your Livermore bar crawl. Atmosphere: Another Livermore dive bar, this bar features a well-lit seating and bar area and cheap, strong drinks. The V&E is always bustling on weekends, and it’s walking distance to several eateries and other downtown bars. One thing that this bar has that the others don’t? Shuffleboard. Get your game on and enjoy the lively atmosphere of this local bar. And later you can walk a few doors down to the Donut Wheel to get a midnight snack. Atmosphere: Want to watch a movie while you enjoy a cold one? The Vine Cinema features independent movies, beer, wine, and food catered from Zephyr Grill & Bar next door. The atmosphere is more mature, but still casual and inviting. The Vine is Livermores very own independently owned movie theater, so you’ll be supporting a local business, too! Atmosphere: a classic Livermore dive bar, Polomoni’s offers generous pours for extremely low prices. The interior is kitschy and has an old-school 1960s vibe, with dark lighting and rock-covered walls. Chances are you’ll either hate it, or you’ll love it so much that you keep coming back for more. Moni’s has its share of regulars, so you’ll always see a friendly face. Remember to always drink responsibly. Call Charity Cab for your transportation solution the next time you find yourself in need of a designated driver and taxi in livermore services. This entry was posted in Blog on March 24, 2016 by rhtthvnr. If you’re searching for a taxi in Pleasanton, then there’s a good chance that you are also in need of a hotel in Pleasanton. Charity cab‘s taxi drivers hear a lot of candid feedback about Pleasanton hotels from our customers, and one of the most common questions our taxi drivers get asked is what the best hotel in Pleasanton is. So we’ve taken what we’ve heard from our riders, mixed it with our personal experience, and compiled a list of some of the top Pleasanton hotels in 2015 to help you as you plan your next visit(or help someone else plan theirs). 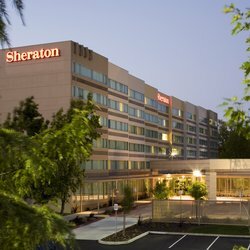 Best All-Around Hotel in Pleasanton: Sheraton Hotel – if convenience and class are what you are looking for in a hotel in Pleasanton, then the Sheraton is just for you. Just a stone’s throw away from the Stoneridge Mall, our riders like that they can easily walk to various shops and restaurants without breaking a sweat or having to call a cab. You could even take BART from the airport, get off at the West Dublin station, and arrive right at the Sheraton’s door! It’s truly that simple. Don’t forget to check out the Pleasanton Off the Grid food trucks in the Stoneridge Mall parking lot on Sunday for lunch! Most Unique Hotel in Pleasanton: Rose Hotel – the rooms of the Rose Hotel are all uniquely furnished, which many of our riders say gives it a bed and breakfast vibe as opposed to the mundane, boxed feel of large chain hotels. 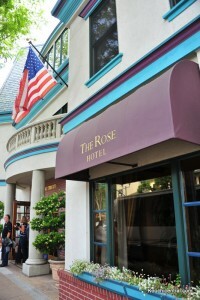 The Rose Hotel is right on Main Street in downtown Pleasanton, so you can easily walk to different shops, restaurants, and even the weekly Pleasanton farmers market. The Rose Hotel is also a short drive from the Pleasanton Golf Center and the Alameda County Fairgrounds. Your stay at the Rose Hotel in Pleasanton will make you feel right at home, so you’ll likely come back here again and again for your business or leisure travels. Best Extended Stay Hotel in Pleasanton: Hyatt House – if you are in need of an extended stay hotel in Pleasanton, our riders always have great things to say about Hyatt House. The rooms are all furnished suites, complete with a work space, high speed internet, a kitchen, flat screen television, telephone with voice mail, and anything else you might need whether you are traveling for work or for a fun family vacation. 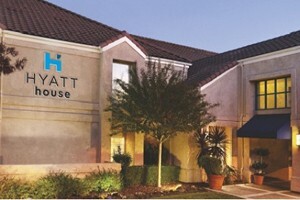 Our riders who have come to spend a week or two exploring the Bay Area, the Livermore Premium Outlets, and all the rest that the Tri-Valley has to offer have said that Hyatt House is an affordable and convenient choice. 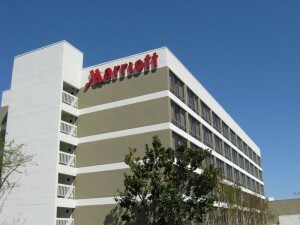 Most Convenient Hotel in Pleasanton: Marriott – The Marriott is another great hotel that our riders often choose. Located on the edge of the Stoneridge Mall, our riders say that this is a perfect location if you want to get out of the hustle and bustle of the town and escape into the beautiful parks in Pleasanton and Dublin. It’s just a short drive to either Pleasanton Ridge Regional Park or Dublin Hills Regional Park, both of which offer expansive trails that are dog friendly. The Marriott is also just a short ride from the Alameda County Fairgrounds, which hosts events throughout the year. What the icing on the cake? The Marriott has a complimentary shuttle for locations within 5 miles from the hotel. Best Value Hotel in Pleasanton: Best Western Plus Pleasanton Inn – located just off of the 580 freeway, the Best Western Plus is an affordable option that allows you easy access to downtown Pleasanton, Dublin, Livermore, and more. 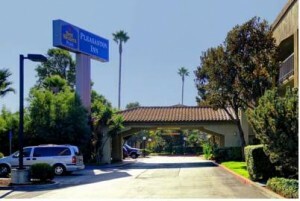 Our riders who are working with a tighter budget but still want to be able to experience all of the Tri-Valley and greater East Bay Area recommend the Best Western Plus Pleasanton Inn. It’s a smart choice that won’t leave you disappointed. Please note that we do not receive compensation for any of these recommendations – our goal is to provide you with knowledge to help you make a good choice for your next hotel in Pleasanton! This entry was posted in Blog, Pleasanton and tagged hotels, pleasanton, travel on November 17, 2015 by rhtthvnr. 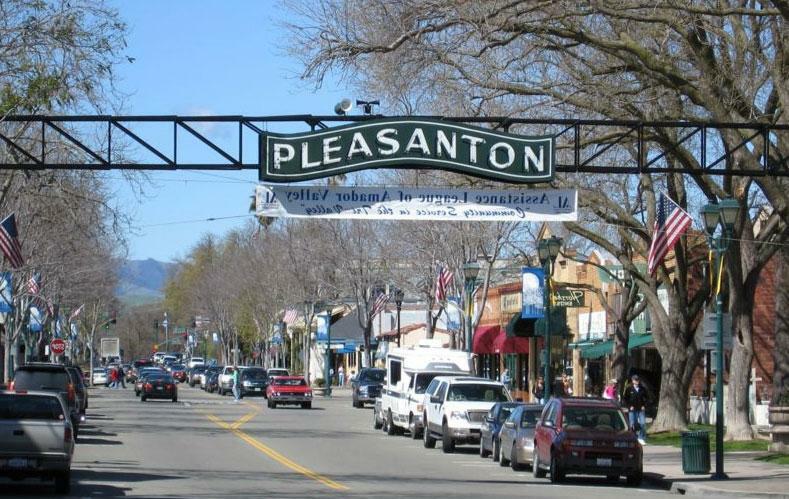 Pleasanton is consistently ranked among the best places in the US to live. Residents enjoy a living in a safe area, with great schools, and one of the lowest unemployment rates in the country. Pleasanton is also known for its charitable residents and businesses who give back to the community. In May 2013, the city of Pleasanton witnessed the birth of another local company, with the same strong Pleasanton values, open for business. 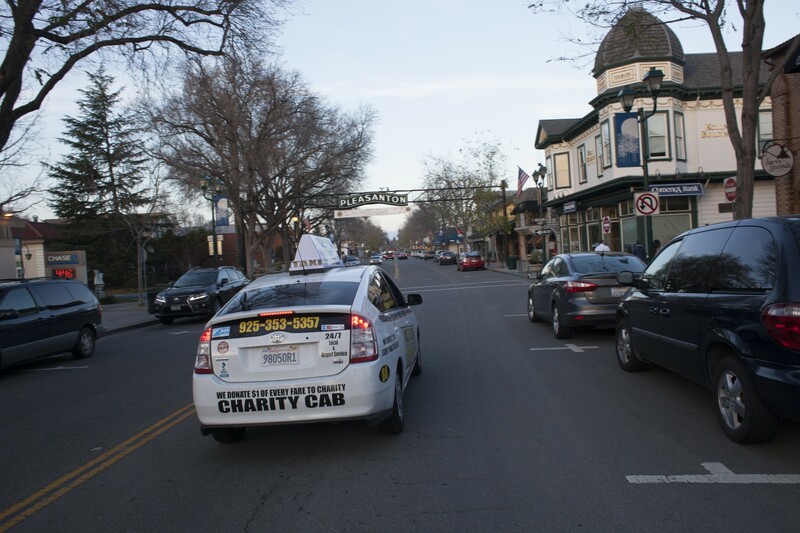 This new business, Charity Cab, puts people before profits and works to strengthen the Pleasanton community. Most vehicles can get you from one place to the next. Most taxi drivers can probably navigate you to your destination. 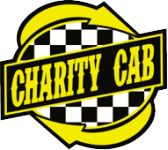 The Charity Cab difference is that your ride will be safe, efficient, and enjoyable. Every Charity Cab employee is hired because he/she is a friendly, customer focused driver. Charity Cab drivers know the area they drive in, and work with local charities to help strengthen the communities they serve. One dollar of every Charity Cab ride is donated to a local charities like: Feeding America, Habitat for Humanity, The Wounded Warrior Project and The Taylor Family Foundation. Here at Charity Cab, we provide excellent service by taking our customers all over the bay area. We take care of customers who need to be dropped off or picked up at the local Bart station. We also give our customers affordable rides to SFO, OAK, and SJC. If there is road to that leads to your destination, we can drop you off there. We know how stressful it can be to arrange transportation to different destinations, so we have set up a tool on our website that lets you schedule a ride in advance. Feel free to call our local number, or use our scheduling tool, so that we can have a friendly driver waiting to pick you up. Here at Charity Cab we know that there are lots of choices for your taxi in Pleasanton to choose from, which is why we do everything we can to go the extra mile for every one of customers. If you are looking for a friendly Pleasanton taxi service that gives back to its community, then schedule a ride with Charity Cab today! This entry was posted in Blog on July 20, 2015 by rhtthvnr.